That's the word here in the south and I know you've heard me say that more than a time or two...but it's really hot! You see, our downstairs air conditioner decided to stop working on Friday, so it's been a bit unbearable in the house this weekend. I sure hope they can come early this week to fix it! Thanks Cindy for hosting!! I love all the beautiful features. Much like your featured guests, dear friend, I'm transitioning into Autumn! Hope your AC is fixed soon! 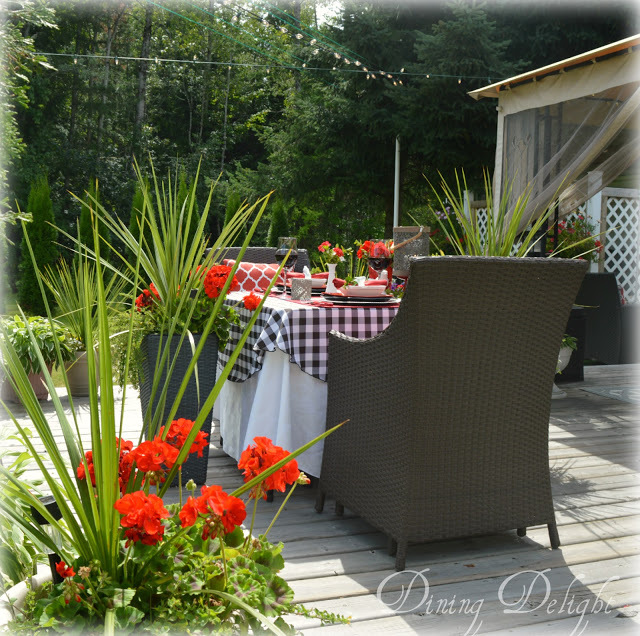 Thank you so much for featuring my Summer Tablescape in Red, Black & White! I'm flattered to have been chosen from so many terrific links. I appreciate you highlighting my post and thanks for hosting this weekly get-together. Thanks Cindy for hosting and hope you get cool soon!! oh my goodness, that house is incredible! thanks so much for having us over, Cindy! Thanks for hosting and enjoy your week. I hope it cools off soon for you. It's been hot in NJ but the nights are getting cooler. Cindy, thank you for hosting the party. Good evening, Cindy. Lots of reading here for the week to come! Thank you for hosting this link-up. Thank you for the link up, I love the photos featured. Cindy... A million thanks to you for featuring me today. I am truly honored. Can't wait to do some link hopping. Hope you have a wonderful week!! 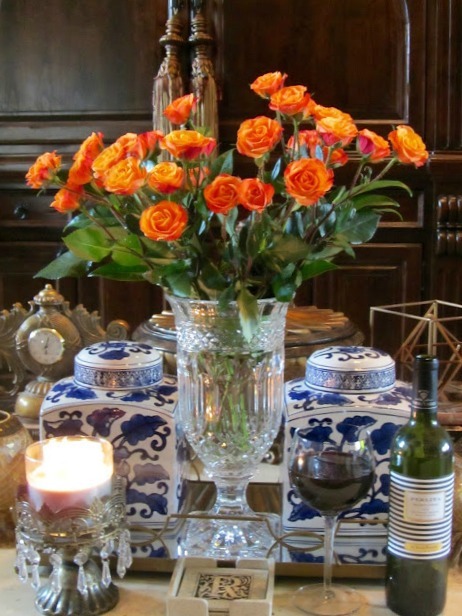 Luv that summer tablescape. Thanks so much for hosting the party. Thanks for hosting, Cindy. Have a wonderful week. Cindy, thanks so much for featuring me this week! What an awesome surprise! Hopefully, your a/c will be repaired soon. We had that problem earlier in the summer when the roofers hit, not one, but both freon lines, for upstairs and downstairs! So, I sympathize with you! Thanks so much for hosting each week! Cindy, thank you for hosting. I hope you get your a/c repaired quickly and can stay cool.